An ACL tear is a relatively common sporting injury affecting the knee and is characterized by tearing of the Anterior Cruciate Ligament of the knee (ACL). A ligament is a strong band of connective tissue which attaches bone to bone. The ACL is situated within the knee joint and is responsible for joining the back of the femur (thigh bone) to the front of the tibia (shin bone). Grade 3 tear: all fibres are ruptured resulting in knee instability and major loss of function. 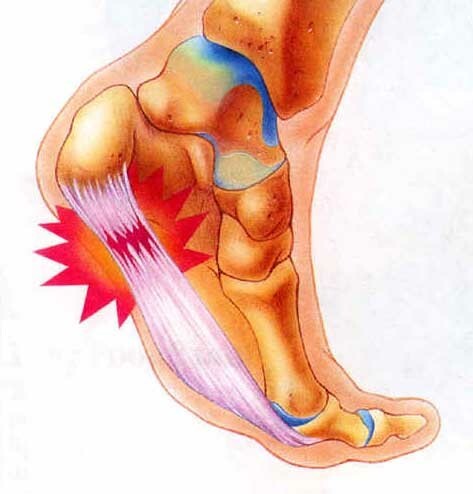 Often other structures are also injured such as the menisci or collateral ligaments. Surgery is often required. When any of these movements (or combinations of these movements) are excessive and beyond what the ACL can withstand, tearing of the ACL may occur. 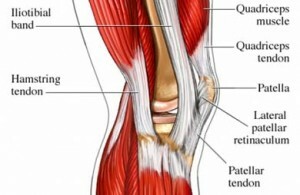 Of these movements, twisting is the most common cause of an ACL tear. 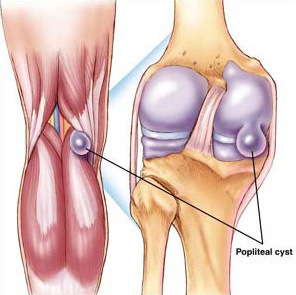 ACL tears are frequently seen in contact sports or sports requiring rapid changes in direction. These may include: football, netball, basketball and downhill skiing. The usual mechanism of injury for an ACL tear is a twisting movement when weight-bearing (especially when landing from a jump) or due to a collision forcing the knee to bend in the wrong direction (such as another player falling across the outside of the knee). 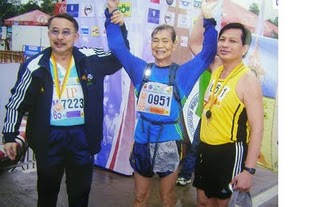 Occasionally an ACL injury may occur during a sudden deceleration when running. Patients with an ACL tear may notice an audible snap or tearing sound at the time of injury. In minor cases of an ACL tear, patients may be able to continue activity only to experience an increase in pain, swelling and stiffness in the knee after activity with rest (particularly first thing in the morning). 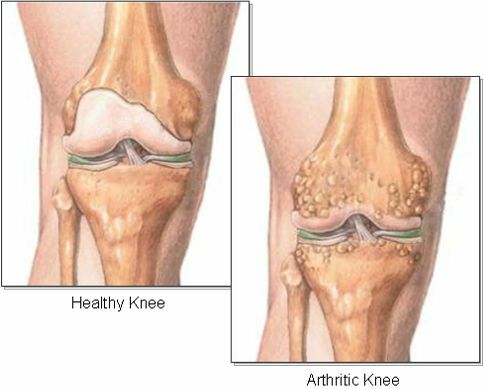 Often the pain associated with this condition is felt deep within the knee and is poorly localized. In cases of a complete rupture of the ACL, pain is usually severe at the time of injury, however, may sometimes quickly subside. Patients may also experience a feeling of the knee going out and then going back in as well as a rapid onset of considerable swelling (within the first few hours following injury). Patients with a complete rupture of the ACL generally can not continue activity as the knee may feel unstable, or may collapse during certain movements (particularly twisting). Occasionally, the patient may be unable to weight bear at the time of injury due to pain and may develop bruising and knee stiffness over the coming days (especially an inability to fully straighten the knee). Patients with a complete rupture of the ACL may also experience recurrent episodes of the knee giving way following the injury. 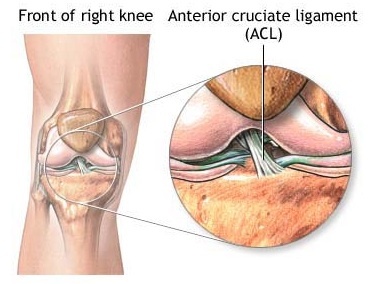 A thorough subjective and objective examination from a physiotherapist is usually sufficient to diagnose an ACL tear. Investigations such as an X-ray, MRI scan or CT scan may be required to confirm diagnosis and determine the extent of damage or involvement of other structures within the knee. Most patients with a minor to moderate ACL tear heal well with appropriate physiotherapy. The success rate of treatment is largely dictated by patient compliance. 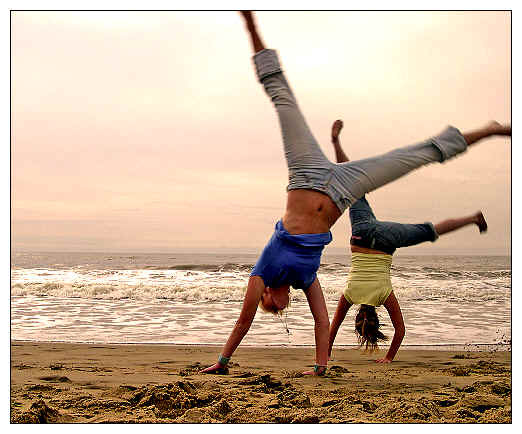 A vital aspect of treatment is that the patient rests sufficiently from any activity that increases their pain. Activities placing large amounts of stress on the ACL should also be minimized, particularly twisting and hyperextension of the knee. Resting from aggravating activities ensures the body can begin the healing process in the absence of further damage. Once the patient can perform these activities pain free a gradual return to these activities is indicated provided there is no increase in symptoms. Ignoring symptoms or adopting a ‘no pain, no gain’ attitude is likely to lead to the problem becoming chronic. Immediate, appropriate treatment in patients with this condition is essential to ensure a speedy recovery. Once the condition is chronic, healing slows significantly resulting in markedly increased recovery times and an increased likelihood of future recurrence or ACL surgery. 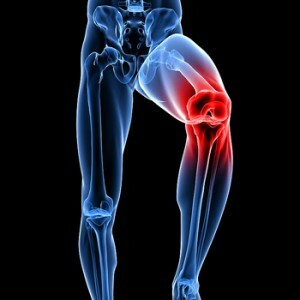 Patients with an ACL tear should follow the R.I.C.E. 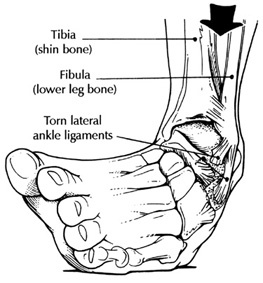 Regime in the initial phase of injury. The R.I.C.E regime is beneficial in the first 72 hours following injury or when inflammatory signs are present (i.e. morning pain or pain with rest). The R.I.C.E. regime involves resting from aggravating activities (this may include the use of crutches), regular icing, the use of a compression bandage and keeping the leg elevated. Anti-inflammatory medication may also significantly hasten the healing process in patients with an ACL tear by reducing the pain and swelling associated with inflammation. Patients with an ACL tear should also perform pain-free flexibility and strengthening exercises as part of their rehabilitation to ensure an optimal outcome. 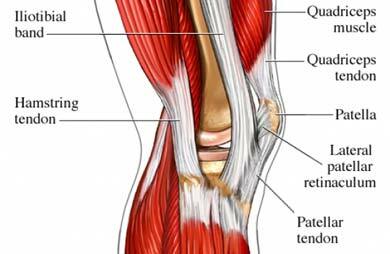 One of the key components of ACL rehabilitation is pain-free strengthening of the quadriceps, hamstring and gluteal muscles to improve the control of the knee joint with weight-bearing activities. The treating physiotherapist can advise which exercises are most appropriate for the patient and when they should be commenced. Surgical reconstruction of the ACL is often required in patients who have a complete rupture of the ACL and are seeking the highest level of function. The procedure is known as an ACL reconstruction and generally comprises of arthroscopic surgery to reconstruct or repair the ACL with other tissue from your body. 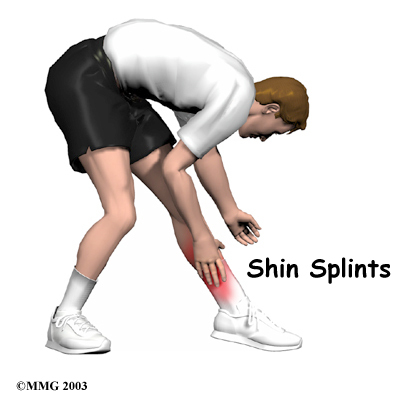 The hamstring tendon or patella tendon are most frequently used in this process. Following a complete ACL tear, patients who choose not to have surgery may suffer from ongoing knee instability and recurrent episodes of the knee collapsing or giving way with certain movements (particularly twisting). Patients with a complete ACL tear may also have an increased likelihood of developing knee osteoarthritis due to excessive movement and subsequent wear and tear of the knee. In those patients who undergo surgical intervention, rehabilitation should commence from the time of injury, not from the time of surgery. This is essential to minimize swelling, improve range of movement and strength and ensure an optimal outcome following surgery. 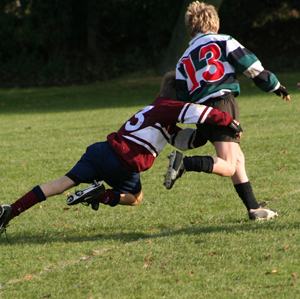 With appropriate management, most patients with a minor to moderate ACL tear (grades 1 and 2) can return to sport or normal activity within 2 – 8 weeks. Patients with a complete rupture of the ACL will frequently require surgical reconstruction followed by a lengthy rehabilitation period of 6 – 12 months or longer to gain optimum function. Patients who also have damage to other structures of the knee such as the meniscus or collateral ligaments are likely to have an extended rehabilitation period. Despite appropriate physiotherapy management, a small percentage of patients with a minor to moderate ACL tear and most patients with a complete ACL tear do not improve adequately. 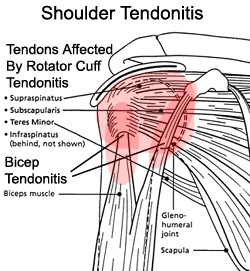 When this occurs the treating physiotherapist or doctor can advise on the best course of management. This may involve further investigation such as an X-ray, CT scan or MRI, or a review by a specialist who can advise on any procedures that may be appropriate to improve the condition. Surgical reconstruction of the ACL is frequently required in cases of a complete ACL rupture particularly when conservative measures fail.